Bengaluru: India's ace forward SV Sunil and midfielder Manpreet Singh have been ruled out of the Asian Champions Trophy hockey, starting on 20 October in Kuantan, Malaysia, due to injuries. While the 27-year-old Sunil still carries the wrist injury, which he had suffered during India's encounter against Canada at the Rio Olympics, Manpreet has picked up a groin injury. "Manpreet's is a repeated groin injury. Though it is manageable at this stage, it should not become chronic, hence we decided to keep him back here for rehabilitation. 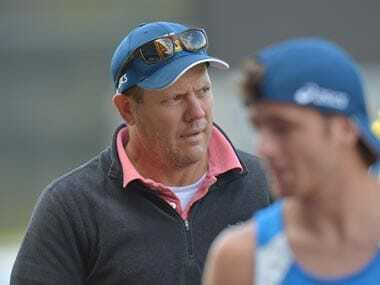 "Sunil and Raghunath (who is recovering from an elbow injury) will also be in SAI while the team is away in Malaysia," said chief coach Roelant Oltmans, who returned from the Australian Hockey League early this week where he had accompanied the Indian junior men’s team. Sunil will be replaced by Ramandeep Singh while Akashdeep Singh will fill in for the 24-year-old Manpreet, who was also PR Sreejesh's deputy for this tournament. Experienced defender and dragflick expert Rupinder Pal Singh will step in as the vice-captain for the tournament. "We have several options and I don't see this as a setback for us at all. 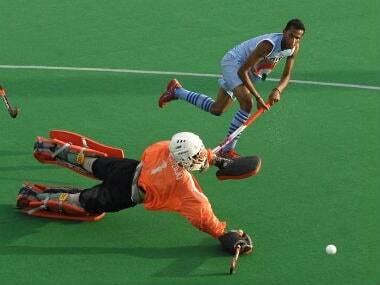 We will most probably play Pardeep Mor and Akashdeep on the midfield for this tournament," Oltmans said.